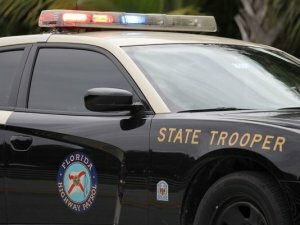 All Southbound Lanes Back Open After Crash On Florida’s Turnpike | Schuler, Halvorson, Weisser, Zoeller & Overbeck P.A. WEST PALM BEACH, Florida. — All southbound lanes of Florida’s Turnpike in West Palm Beach are back open after a deadly multi-vehicle crash had shut them down, Florida Highway Patrol officials said. The Florida Highway Patrol said, the wreck happened at mile marker 101.5, just north of the Okeechobee Boulevard exit. Troopers and FHP said, a BMW lost control on the slick road and spun out. The driver of a tractor-trailer tried to avoid hitting the BMW and jackknifed, colliding with a Honda Civic and pushing it into a median wall. A female passenger in the Civic, whose name has not been released, was confirmed dead in the crash. The tractor trailer then hit the BMW, which in turn hit a fourth vehicle, an Infinity QX60. FHP said, the driver of the Honda Civic suffered serious injuries. The driver of the BMW had minor injuries and two people in the Infinity also suffered minor injuries. The driver of the tractor trailer was not hurt, Florida Highway Patrol officials said. At one point, traffic was backed up for about eight miles going beyond State Road 710/Beeline Highway.